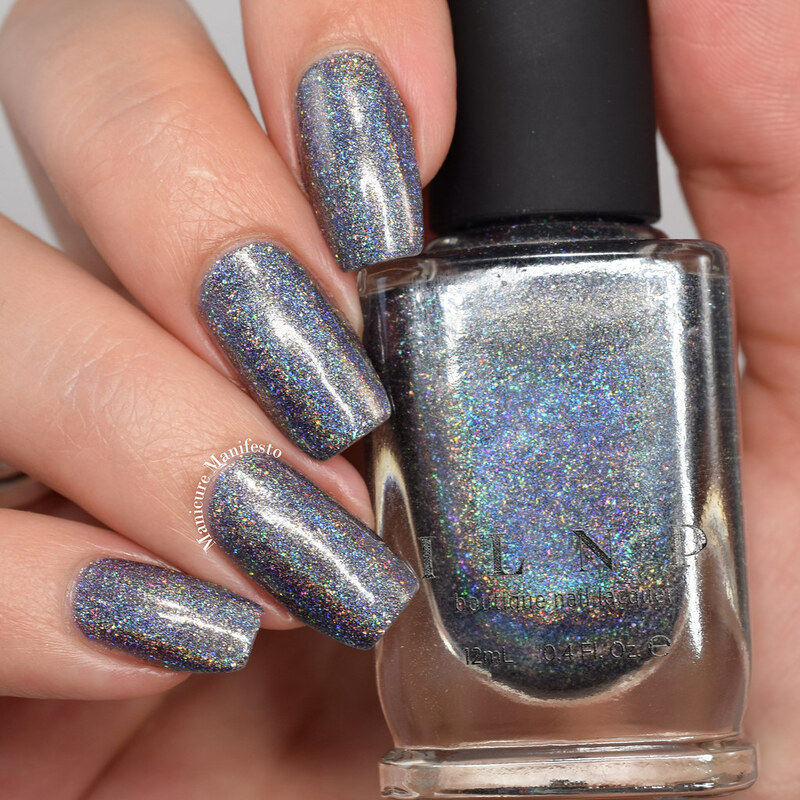 Today I have ILNP Maiden Lane from the Fall 2015 collection to share with you. I may be a year behind but at least I'm in the right season! 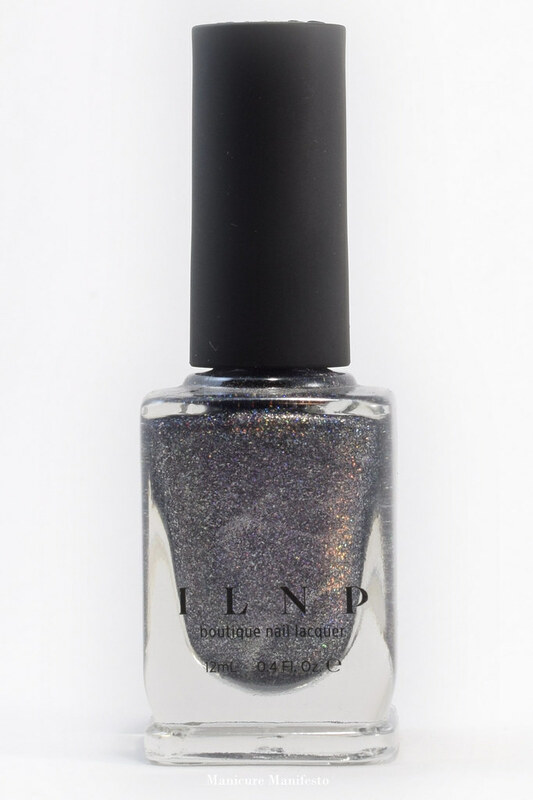 Maiden Lane features a medium charcoal grey base with a super strong flecked holo shimmer. The formula was very easy to work with and took two coats to become opaque. In direct sunlight the holo effect takes over. 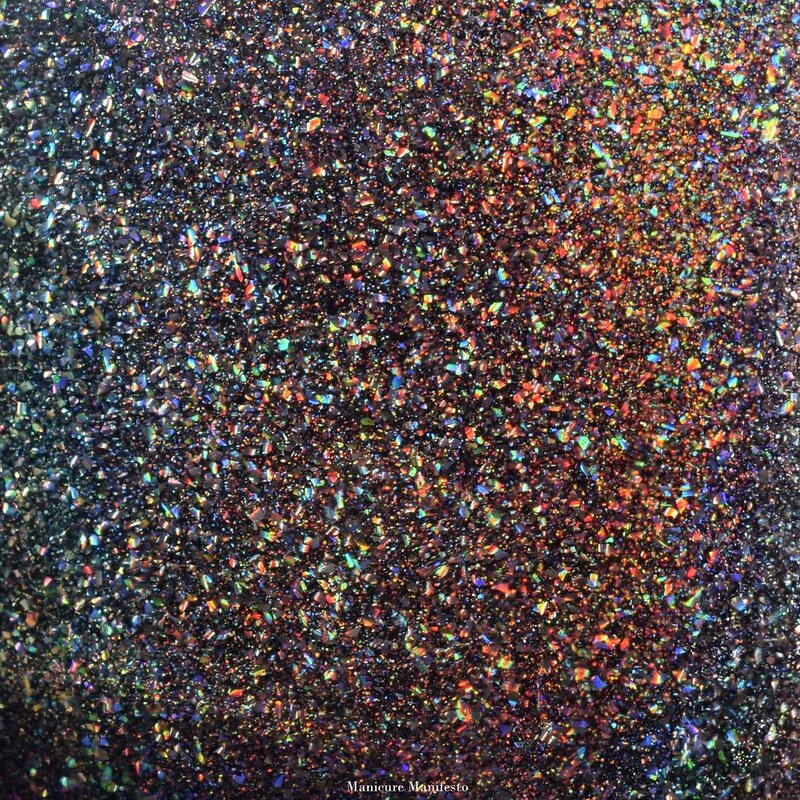 The large silver holo flecks create what I'm calling a shattered rainbow effect. In more shaded lighting the base colour leans a little bit purple. Photos show two coats of Maiden Lane with one coat of CND Super Shiney top coat in daylight spectrum lighting.